[23-Sep-15] The world's oceans have seen significant declines in certain types of microscopic plant life at the base of the marine food chain, according to a 2015 NASA study. This research is the first to look at global, long-term phytoplankton community trends based on a model driven by NASA satellite data. 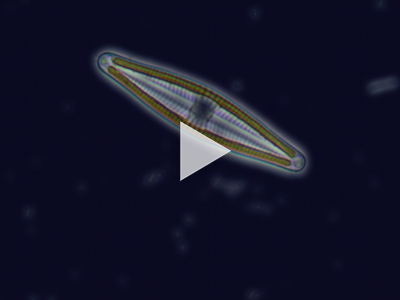 Diatoms, the largest type of phytoplankton algae, have declined more than 1 percent per year from 1998 to 2012 globally, with significant losses occurring in the North Pacific, North Indian and Equatorial Indian oceans. The reduction in population may have an impact on the amount of carbon dioxide drawn out of the atmosphere and transferred to the deep ocean for long-term storage. For a complete transcript of this video, click here.